Sometimes we make quick decisions about things and when people ask us, we usually say that it's based on our gut feeling. Well... this is exactly what happened when I said "yes" to a friend offering me food supplement samples to try. As most of you know, I am a low maintenance gal which means I don't like complicating my life with multiple beauty regimes or dietary habits. I like things to be as simple as possible. Minimum effort, maximum results as they say lol. But who am I to say no to free, right? And this is where this story begins. My friend informed me that she will be sending me a sample of a food supplement that has prebiotic and it's good for digestion. The only time I ever encountered probiotic is when I drink Yakult and that's not even prebiotic. So curious little me, I decided to check it out. Prebiotics, in a nutshell, are non-digestible fiber. These are compounds found in foods that are high in fiber and are known to promote good digestive system. Bananas, onions, garlic, asparagus, oats, barley and yogurt are just some examples. But did you know that there's an alternative prebiotic source that's tasty, easy to consume and can be added to any food? That's none other than Pholigo by Gramworth. 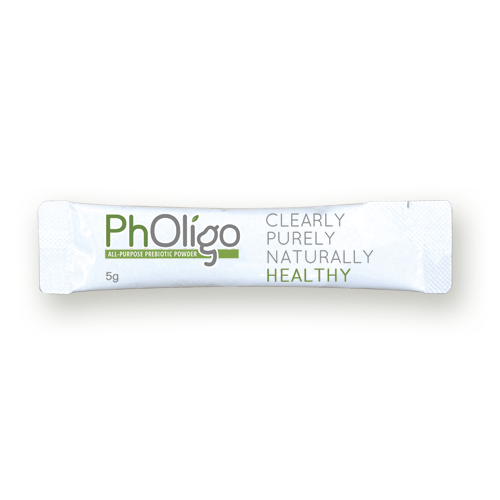 PhOligo is a globally known plant-derived prebiotic powder used as a nutrition fortifier. Aside from its innate good taste, its excellent versatility in application makes it a perfect addition to any food or beverage you normally consume. The prebiotic effect of PhOligo has been confirmed in numerous scientific researches and clinical trials. It is proven to nourish and support the growth as well as the activities of beneficial bacteria in the colon thus improving general health and well-being. Taste. It tastes sweet but not sugary sweet. It tastes almost like the confectioner sugar often used in donuts and other sweet treats. I added it to my black coffee which helped lessen the bitterness. So that was a plus for me. Texture. PhOligo has the same texture and feel as confectioner sugar- powdery and soft to touch. It gets pretty sticky easily though. So make sure your hands are not wet or keep it away from the liquid when pouring. In terms of the effect, I didn't feel or experience any significant change in my bowel or digestion when I used the product. I did feel less sluggish during the days when I took PhOligo, which is great because I get to accomplish more. I also didn't feel sick or anything despite not having enough sleep because of mommy duties and work. The effects differ from person to person so it may possible that you won't see any difference during the 1st 2 weeks of using. Be patient and just be observant of your body. The effects can be as miniscule as not feeling fatigued (which suggests good immune system) or as huge as having regular bowel movement (which suggests good digestion). 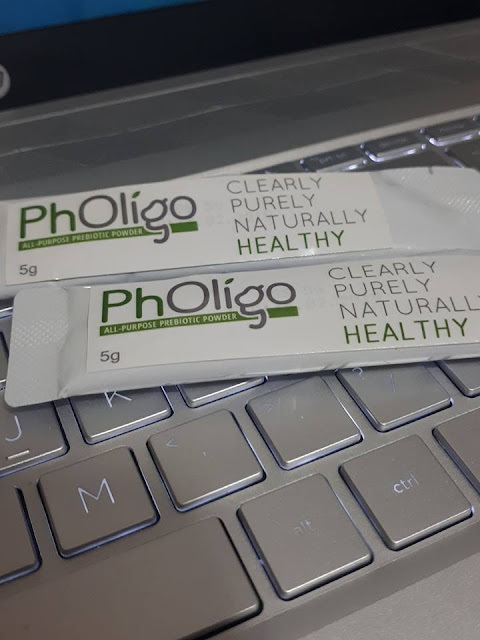 I would definitely recommend PhOligo for those who are busy and don't have time to consume their recommended prebiotic intake. It is easy and convenient to use. Plus, it's versatile and can be added to any food apart from coffee. How to get your hands on PhOligo? 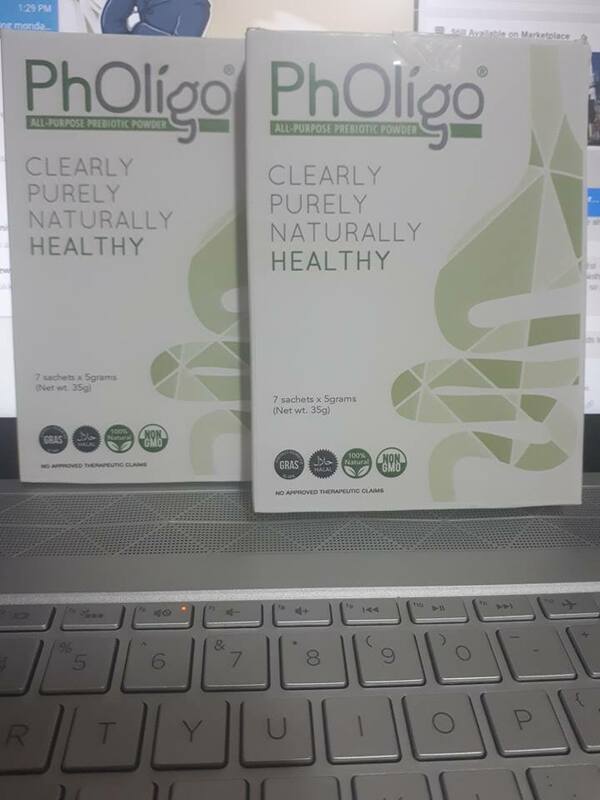 You can purchase PhOligo on their website- http://gramworthph.com/pholigo/ for as low as P280.00. For your questions and other inquiries, you can also visit their Facebook page - https://www.facebook.com/PhOligo-2207263976217907/.